Recent decades have witnessed a burgeoning growth of numerous industries; therefore, recruiting the right person for the position is crucial to the development of enterprises. But how do we determine if a person is the best fit? Advocates of conventional recruitment methods opine that this candidate must have sufficient experience and qualifications needed for that job. Nevertheless, some people argue that candidates’ personal qualities cannot be ignored. In my view, both components are of equal importance. To begin with, the conventional approach of checking potential workers’ qualifications via their resumes, LinkedIn profiles, issued qualifications and certifications from authorised organisations is vital. Apparently, whenever we submit a job application, we are always required to attach a CV while a cover letter is optional. Without a decent qualification, even if that candidate’s personal characteristics are suitable, the enterprise will need to carry out lots of skill trainings eventually. On the other hand, occasionally during an interview some HR officers ignore the significance of assessing how candidates’ individual qualities can fit in the company. Employers should assess not only candidates’ qualifications but also their enabling skills, ethics and value propositions. The more an employee’s personal qualities fit in a company’s culture and values, the more he or she is motivated to contribute to that company’s vision. KPMG is a great example of evaluating candidates’ personal qualifications and skills by utilising a game-based assessment process, followed by a video interview. This methodology enables a comprehensive assessment, and is embraced by many companies nowadays. To summarise, employers should assess both personal characteristics and formal qualifications when recruiting people as each of these elements has its own vital contribution to make in talent-seeking enterprises. This response covers the topic well. The writer’s position is clearly expressed and supported by an example, the use of paragraphing makes this essay organised and easy to follow. Linking words are used appropriately. The use of complex sentences and advanced vocabulary is impressive. 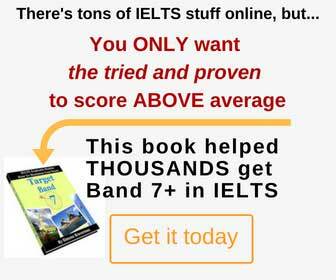 Overall, this essay is likely to score Band 8 in IELTS. How do you rank below essay? It is widely noticed that a large number of peoples have reduced number of sleeping hours in their daily patterns. This is mainly because of the developing awareness around the peoples and societies for the importance of health. There are variety of benefits on individual and as well as on societies. It is commonly thought scientifically in today’s world because of the modern centuries. Peoples believe that it is neither beneficial nor healthy to sleep more. It is scientifically proven that if we keep our sleep pattern constant such as we daily go to bed and wake up on one fixed time regardless holidays and what happens during the night, we shall have healthy sleep and wake up with fresh mind. Of course, there are certain conditions in this theory to fulfil and achieve good sleep. There are obvious advantages over individual and societies. Nowadays, life is full of responsibilities and that require time to fulfil and if you don’t achieve your targets then you will stay back from moving society. Sleeping less compare to more, gives you the opportunity to focus on your responsibilities over work, family, house hold and so on. Sleeping long hours would lead to uncertainty to manage time in your life which definitely has a negative impact on your social life. Certainly, if this is common with every individual in any society then everyone rise with same problems which would definitely spoil the society. In conclusion, sleeping less is proven to be more effective and beneficial for both individual and societies but we should raise awareness about the fact if any society is lacking with this. This way we would build up not only stronger society but it makes whole country healthy.